A cool concept featuring an astronaut holding balloons of which are the planets in our solar system. With a black back drop and tiny little stars, this is a high quality stylish hoodie. 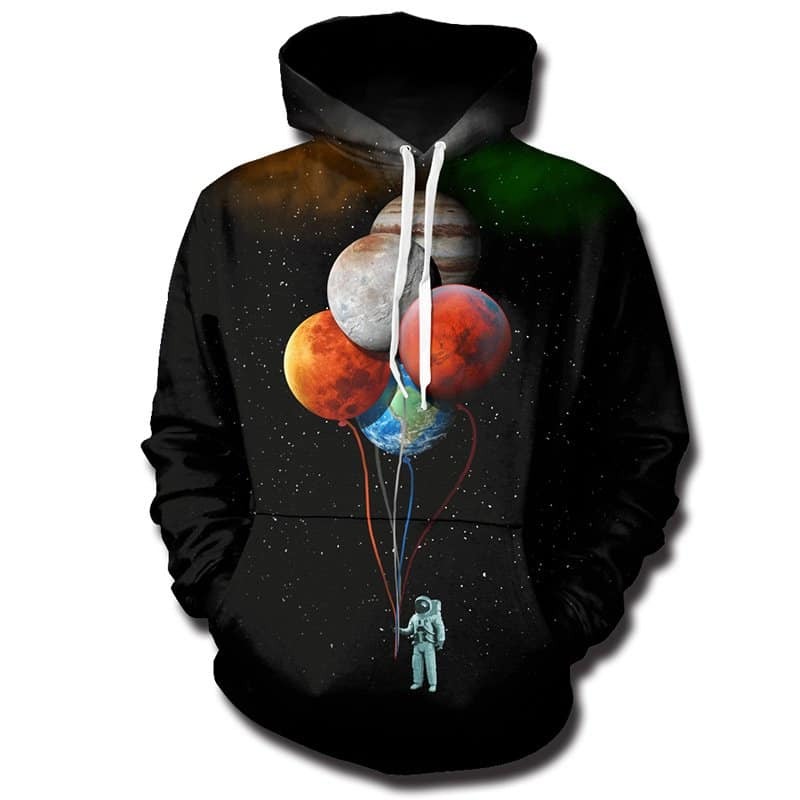 The Balloon Planets Hoodie is a best seller of ours. The hoodie is comfortable to wear, looks fashionable and is wearable anywhere. It was designed for both male and female. Sweatshirt came quickly enough, quality material very tighten hand, very cool Thank you very much!